Managing business from a solid agricultural science background. 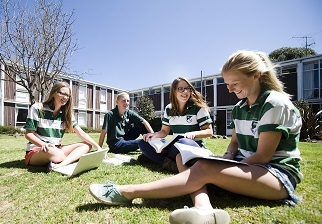 This 4 year joint degree Bachelor of Agriculture/Bachelor of Business is unique in Australia with close links to industry and highly sought after graduates. Combining our practical agriculture degree underpinned by science with business degree where you choose to major in agribusiness, marketing, international business or accounting. You will learn cutting edge techniques at our innovative SMART Farms included our production feedlot at Tullimba. The Accounting major enables students to receive Professional Body Entry into CPA Australia, Chartered Accountants of Australia and New Zealand (CAANZ), or the Institute of Public Accountants (IPA). Our graduates are employed across agricultural and business sectors. For more information, view our Agricultural Careers page, or visit one of the specific career pathways listed below. Choosing to live in one of UNE’s residential puts you in the ideal position to enjoy the living and learning experience to the fullest. Both socially and academically, you are right at the heart of the action.